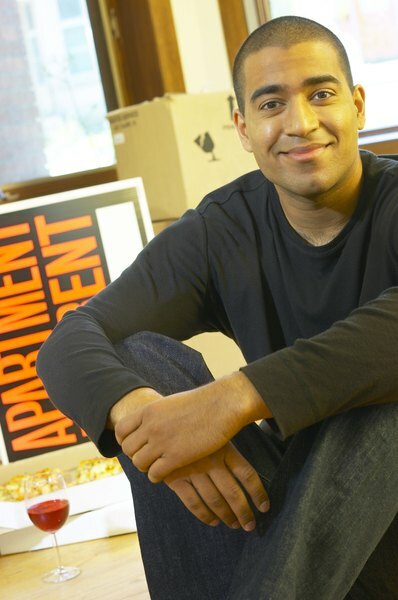 Letting your son move into a rental is generous, but may be hard on your tax bill. 1. Can I Claim a Rent Deduction for an Elderly Parent in a Home I Own? 2. Can You Deduct the Difference From Rent to Mortgage Payments for a Rental Property? You can deduct rental expenses when renting to children, just as you would when renting to anyone else. You can have potential income tax problems that disallow expenses in excess of income when you rent to your children, but not because of the relationship. Instead, it's how much you charge them because they're your children. To understand the hazards, begin with the concept of "fair value." So far as the IRS is concerned, you're free to rent to anyone you choose, including your children. The one thing that concerns the IRS (and should concern you as well) is whether the amount you're charging your children is the average rental for a comparable unit in your market – what the IRS terms "fair value." If it's less than the fair market value, you've got a potential problem. Here's why. Normally, when you derive income from a residential rental, you're entitled to certain tax benefits, including your ability to deduct from rental income expenses that exceed rental income as a loss carry-forward. But, so far as the IRS is concerned, when you rent below the market rate, you're engaged in a not-for-profit activity. As such, you can't carry forward rental expenses in excess of rental income to one or more following years. For instance, you've got a cottage behind your house that has been used for storage purpose. It's a little raggedy, so you rent it to your daughter for $100 per month, which is an annual rental rate of $1,200. The fair market rental for the unit in its current less-than-optimal condition is around $600. Now you decide to really fix the place up because, well, she's your daughter. You spend $40,000 on the improvements. In the year you make the improvements, you can deduct a total of $1,200 in expenses, zeroing out the $1,200 in rental income. But you can't deduct the remaining $38,800 in following years. This applies even if your daughter moves out after a year or so and you're now renting the cottage at the market rate because at the time you made the improvements the cottage was a not-for-profit rental. You may think that a way around this is simply to charge your daughter the full market rate for the improved property of $1,350 a month, then give her $15,000 as a gift, which is the maximum allowable gift amount for 2018. You explain that she's free to use this money any way she wants. By "coincidence," the $15,000 gift amounts to $1,250 a month, which is the difference between the $100 a month rent you were originally going to charge her and the market rate $1,350. Money being fungible, when she pays you the rent each month, you don't know that this is money you gave her or some other money derived from another income source. If you're considering this, know that it's illegal avoidance of taxes. When you're caught (and you're not the only person to have thought of this), you may not be charged with felony tax fraud, but you'll surely be required to pay all back taxes due related to the scheme, plus interest, along with a hefty penalty. The IRS will also almost certainly determine that the rental was not-for-profit, which means you won't be able to deduct improvement costs greater than rent received by carrying the difference forward. Giving your children more than a reasonable deduction in rent for work done improving the unit can have the same result. When you're paying a relative for working on the property they're renting, be particularly careful about keeping good records. Assume that you have a child who visits from another city for the summer. You rent her your rental condo and you do so at market rates. Because your condo isn't your child's primary residence, however, the IRS considers that the rental condo is your second home, not a rental property and, again, you lose the tax benefits that normally apply to rental properties. The above cautions aren't meant to imply that you shouldn't rent rental properties to relatives. Often, this works out for everyone because both renter and landlord are dealing with someone they trust. But you do have to be careful about establishing the real market rate by keeping records of actual rental rates for comparable properties. The IRS even allows you to give relatives a slight break in the allowable "market rate." In one ruling, the IRS allowed a 20 percent "good tenant" discount that didn't invalidate the property's for-profit status. A Money Watch article on this subject, however, recommended avoiding a possible tangle with the IRS by limiting the good renter discount to 10 percent. Wall Street Journal: Should You Buy a Home to Rent to a Child?